Today I wore my Fair Isle Cardigan designed by Debbie Bliss. 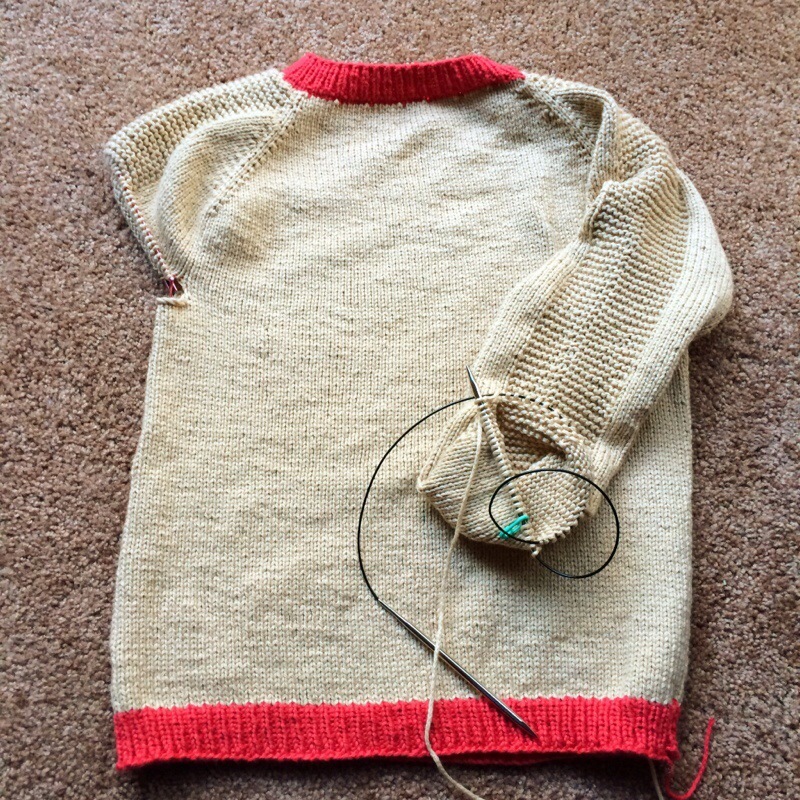 I made this cardigan ages ago when I was still a novice knitter. It was actually my first dabble with Fair Isle technique on a large scale. I remember seeing the pattern in Vogue Knitting and I was immediately attracted to it. I loved the deep V neckline, the variety of colors, and the great silhouette. I was excited and not afraid of the challenge ahead. Little did I know how involved it would be. I was working in the times before I really knew about YouTube and Ravelry so I had to read, read, read. I really didn’t know much about working with multiple colors nor did I know about how to adjust tension when doing colorwork. 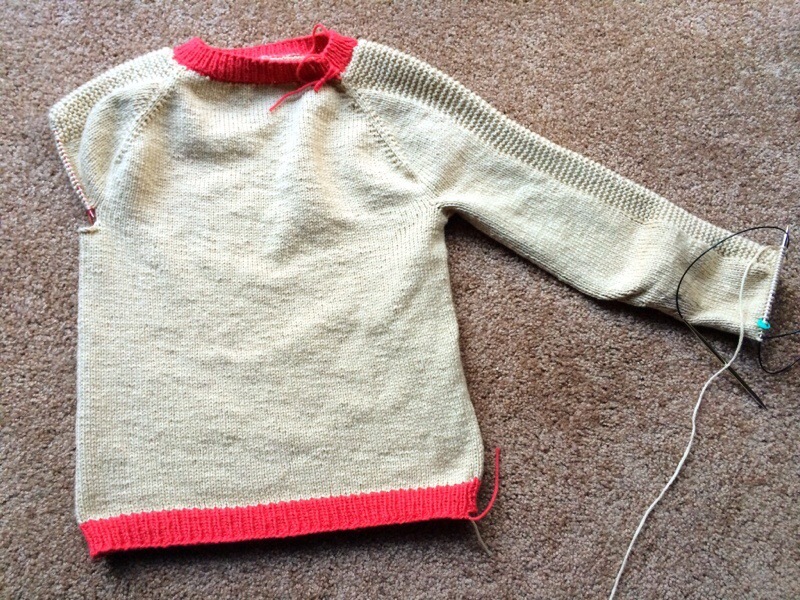 It was slow and arduous at times, but I wanted a finished sweater. Well 4 months later I did it. I had finished all of the 5 pieces and was ready to seam them together. I reached my the point of victory. I made a Fair Isle sweater! I’ll admit it this sweater has flaws, yet conversely it is one of my prized possessions. It is an example of how diligence and perseverance can lead to some seriously positive results. Working through this pattern made me realize that no knitting project is scary. One has to prepare and be ready to wade through the sticky situations. You never know, you might end up with something that really is quite stunning.